With experience that spans several decades, Elijah Zuniga and Tiffany Conklin-Lichtig specialize in navigating businesses through the specific challenges of operating within highly-regulated environments. California Cannabis Advisors was formed to provide clients with the benefits of their combined expertise in one firm. Tiffany Conklin-Lichtig founded California Gaming Advisors LLC after having served six years as the attorney member on the California Gambling Control Commission (CGCC), the regulatory body that sets policy, establishes regulations and oversees the licensure of the state's gambling operators and associated businesses. 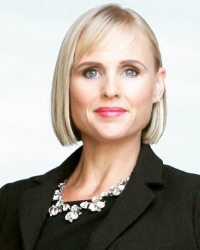 Tiffany was the editor-in-chief of the McGeorge California Initiative Review, has been published professionally in European Gaming Lawyer and has spoken extensively on gaming issues throughout the world including before both houses of the California Legislature. Prior to her time with the CGCC, she served nine years as a chief-of-staff in the California State Legislature and was an adjunct professor at Golden Gate University, where she taught courses on administrative law and judicial governance. Tiffany Conklin-Lichtig earned her J.D. from the University of the Pacific, McGeorge School of Law and her B.A. in Government from California State University, Sacramento. Elijah Zuniga is a former police officer and special agent with the California Department of Justice. Since 2002, Elijah has served the various regulatory and compliance needs of licensed gambling establishments, operators and vendors in the state through Elijah Zuniga Consulting, Inc. Elijah is a recognized expert in California’s gaming industry and Title 31/Bank Secrecy Act and has testified in federal and state courts as well as in numerous state Administrative Procedure Act hearings. He is a sought-after guest lecturer and has presented to law enforcement organizations throughout the state on financial crime detection and compliance program procedures. Elijah has been featured in several news publications including the Oakland Tribune and Sacramento Business Journal and has appeared on episodes of Dateline NBC and CNBC’s American Greed.